Chandigarh’s furniture again. A recent article in The Guardian reports the campaign led by Manmohan Nath Sharma, to preserve the capital of Punjab and Haryana and prevent the “removal” of artifacts, including furniture from the numerous public buildings. Sharma was the first assistant of Le Corbusier in Chandigarh and later took over as chief architect of the city. A petition to support this effort can be signed here. It’s true that emulating the success of dealers with salvaged Prouvé furniture from Africa and elsewhere, many of Chandigarh’s furniture, most of it designed by Jeanneret, have surfaced on the market. The forthcoming Philips de Pury & Company sale being the latest example. Atelier also reminds us of this Wallpaper* piece from about 2 years ago. Some will view this as the market enabling the salvage of beautiful pieces of furniture that would otherwise be lost forever, others will see it as plundering of universal patrimony by unscrupulous merchants. In the absence of facts, hard to tell which is right. The case of Chandigarh is however specific in that there is the need to preserve the whole integrity of the place, its architecture and artifacts (including furniture). Since there is an effort to draw the attention of Indian and international authorities to the preservation of Chandigarh, we believe this should be supported. Philips de Pury and others can make their profits on what is already and legitimately on the market. Well, we cannot really complain about fetichism here, but we can still spot a speculative bubble when we see one. Astronomical prices for mid-century furniture is nothing new for the likes of Prouvé, Perriand, Ponti and Molino, but every time we look they seem to increase. Cue the sales from the recent Design Miami in the margins of the Art Basel Fair. Among mostly contemporary “Furnitart” on sale at very very high prices (Bouroulec at $40,000 a piece any one? ), several well heeled mid-century specialists were present: Sebastian and Barquet, Jousse Entreprises, Gallerie Seguin and R 20th Century among them. Guess this was an inspired move for them! I guess that we are a bit jealous. More on Design Miami here and The Art Newspaper. 1. Read all of Mondoblogo. 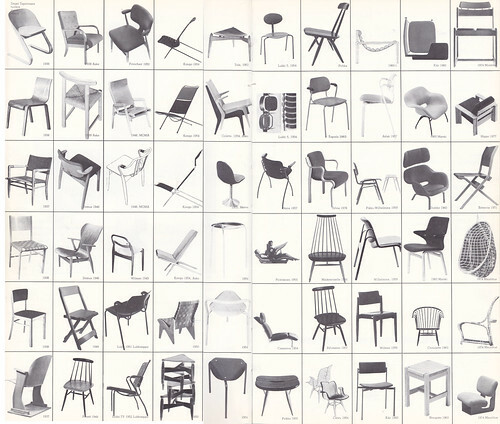 Great material on furniture and designers, and more. Prouvé lured us there: see the great pictures of his designs when found in the Republic of Congo. Don’t miss the discussion and follow-up. 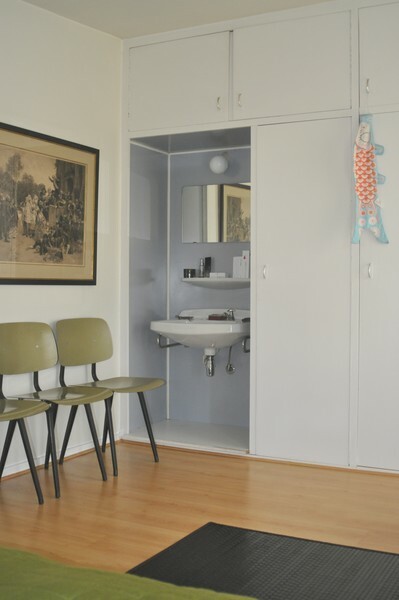 A reminder of earlier posts on Finnish design and Chandigarh. 2. Again from Mondoblogo (yes, we like) sitting on the edge about the Boyd collection mentioned not long ago here as well. More here on the Boyds. 3. Handcrafted Modern by Leslie Williamson: the houses of modernist designers.